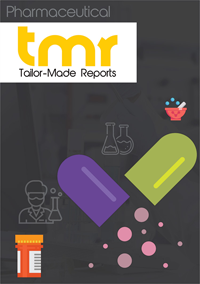 During the forecast period from 2017 to 2025, the global animal parasiticides market is projected to witness considerable change. A growing number of government initiatives and welfare programs for animal welfare are boosting the growth of this market. Animal livestock is increasing in the developing nations. This is fueling the new developments of parasiticide products for animals by players. The growing adoption of animals such as dogs and cats, across the globe will also act as a growth driver for the animal parasiticides market. The growing awareness about animal welfare as well as the increasing GDP rates in Latin America and Asia Pacific have led to a heightened spending on animal healthcare products. This in turn will propel the growth of the global animal parasiticides market. The players in the global animal parasiticides market are striving to achieve innovation in their product offerings. Players are also developing advanced oral dosage forms of ectoparasiticides. Key players are also introducing broad spectrum parasiticides to effectively eradicate parasites such as ticks, hookworms, fleas, roundworms, mites, whipworms. It can also eradicate tapeworms from swine, cats, dogs, cattle, and horses. Recently, a company called Virbac launched ECTOADVANCE PLUS, which is an ectoparasiticide that kills fleas, eggs, lice, and ticks from cats and dogs. However, research and development activities prove to be expensive and are a hindrance for the growth of the market. There are strict regulations for the approval of animal parasiticides, which is restricting the use of animal parasiticides on a few animals in few regions. Moreover, the increasing number of species of parasites is also posing a challenge for market players and is restricting the growth of this market. Thanks to the rise in concern among people regarding animal healthcare, the global market for animal parasiticides is experiencing a remarkable expansion in its overall size. With increasing knowledge about the benefits of animal parasiticides, their demand will continue to move upwards over the forthcoming years. As all animal parasiticides contain one or more active ingredients that can destroy specific parasites, their efficiency level is very high. This factor adds substantially to the increasing popularity of animal parasiticides, which is anticipated to reflect positively on their sales over the next few years. Apart from this, the escalating demand for protein rich food, enforcement of animal welfare acts in developed economies, growing trend of pet adoption, and the rising number of government initiatives to increase awareness about to animal health are also expected to boost this market considerably in the years to come. Broadly, the global market for animal parasiticides is analyzed on the basis of the type of product and the type of animal. On the basis of product type, this market is classified into endoparasiticide, ectoparasiticide, and endectocide. Endoparasiticides, available as liquid, pills and tablets, injectables, and feed additives, control the spread of internal parasites, such as roundworms, tapeworms, and flukes in animals, whereas, extoparasiticides are efficient in curbing the spread of external parasites, such as flies, ticks, mites, and fleas. These parasiticides are available as spot-on and pour-on formulations, sprays, dips, and collars, and ear tags. Endectocides are efficient in curbing both internal and external parasites. Based on the animal type, the global market for animal parasiticides is categorized into companion animals and food-producing animals (livestock animals). Dogs, cats, and horses are the main companion animals of human while cattle, hens, sheep, pigs, and goats are considered as food-producing animals. Among the two, the food producing animals segment has acquired the leading position. The increasing need to keep these animals healthy, triggered by the rising concerns over food-borne diseases caused by animals, is the key driving force behind this growth. Geographically, the global market for animal parasiticides is spread across North America, Latin America, the Middle East and Africa, Europe, and Asia Pacific. Thanks to the large population of the companion as well as food-producing animals, Europe has emerged as the market leader and is closely followed by North America. Analysts expect these regions to maintain a strong growth pace over the forthcoming years on account of the growing awareness regarding animal health among consumers. However, the most promising growth opportunities are likely to be presented by Asia Pacific and Latin America in the years to come. The augmenting population of livestock and companion animals and the increasing expenditure on animal healthcare, owing to the rising awareness level among people in these regions, are projected to surface as the key driving force behind the significant growth of the animal parasiticides markets in Asia Pacific and Latin America. The leading producers of animal parasiticides across the world are Zoetis Inc., Vetoquinol, Virbac SA, Sanofi S.A., Eli Lilly and Co., Merck & Co. Inc., Boehringer Ingelheim GmbH, Ceva Sante Animale, Novartis AG, and Bayer AG.